DETROIT - Fiat Chrysler is recalling more than 100,000 older trucks and SUVs worldwide to replace potentially dangerous Takata air bag inflators. The recall includes mainly passenger but some driver air bags in certain 2009 Chrysler Aspen and Dodge Durango SUVs, some 2010 Ram 3500 chassis cabs, and certain 2005-2009 Ram 2500 pickups. Takata uses the chemical ammonium nitrate to cause a small explosion designed to inflate the air bags in a crash. But Takata inflators can explode with too much force when exposed to prolonged heat and humidity and hurl shrapnel into vehicles. As many as 16 people have been killed worldwide and about 180 have been injured. 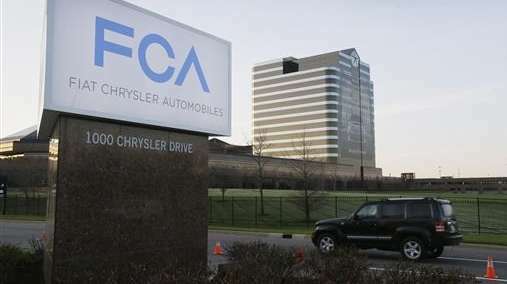 Fiat Chrysler says it knows of no injuries involving this group of recalled vehicles. Dealers will replace the inflators with parts made by another company. Fiat Chrysler says the driver-side replacement air bags are now available, but the passenger-side air bags won't be available until spring. Owners will get letters starting Jan. 12.